The investment, part of the €3bn Horizon 2020 SME Instrument programme, will be used to introduce Sofant's patented technology – which seeks to double the battery life of mobile devices – to market. With the funding, Sofant hopes to take their patented technology from the lab to market which could see it made available to phone manufacturers such as Apple and Samsung as early as 2018. 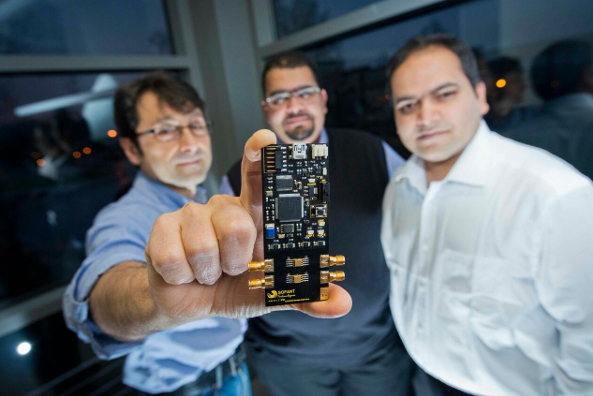 Sofant Technologies is a spinout co-founded by Professor Tughrul Arslan and emerged from his research in the Institute for Integrated Micro and Nano Systems at the School of Engineering. Tech City News: "University of Edinburgh spin-out Sofant Technologies lands £1.54m in funding"
Herald Scotland: "Edinburgh company wins funding as it aims to make technology available to Apple and Samsung"
Business Quarter: "Sofant gives off all the right signals"